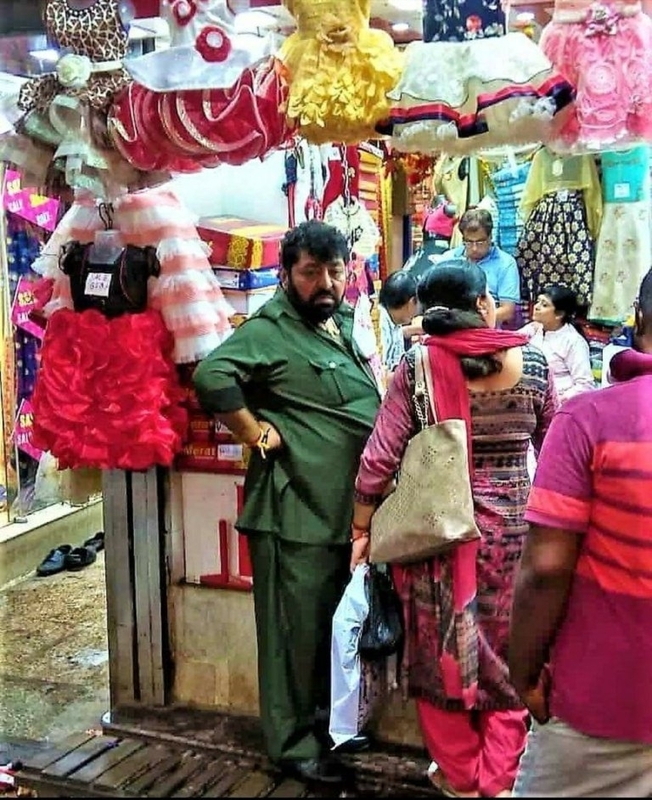 #Gabbar is back, Sholay's 'Gabbar Singh' is viral on social media, shopping with his wife! One of the finest performers, Amjad Khan, who played 'Gabbar' in the 1975 Bollywood film 'Sholay', is now in the discussion again. By the way, Amjad Khan had left the world in 1992, but a photo on social media is getting viral, which is exactly like Gabbar Singh of Sholay. These days, it is becoming increasingly viral on social media and it is being said that Gabbar has returned. Recently a photo gone viral on social media, a person is standing at a shop with his wife. This person has dressed like Gabbar and has kept the beard like that. Not only this, this person looks like ditto Gabbar singh of movie Sholay. On Twitter trends #GabbarIsBack trending and many users are sharing this photo. While actual location and identity of this person is still in doubt as most of the people sharing it were from Pakistan. People claim that these photos belong to the Hadari Market in Karachi. However, some user said that 'Kalava' is also tied in his hand, which shows that Indians are Indians.